Commissioned by Harvard’s Faculty of Arts and Sciences, metaLAB is in the process of launching a curriculum mapping experiment that seeks to serve both the immediate needs of students and to provide a deep institutional history of Harvard through its curricular history. The project’s title is CURRICLE and its aim is to model an approach to expressing college and university curricula that can also be followed by other institutions of higher learning. 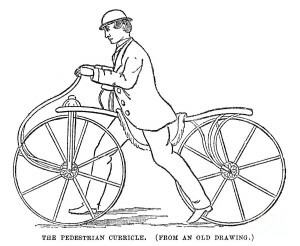 A curricle was the sports car of the coaching era: a fast, light, and stylish two-wheeled chaise drawn by a judiciously matched pair of horses. Like its vehicular namesake, the project aims at developing a lively, interactive, playful mode of navigating curricular programming and choices not as catalogue than as the experience of a landscape of intersecting ways. It will consist in the development of a series of complementary approaches to experiencing the Harvard University curriculum not as an inventory of single items grouped into disciplinary pages and lists, but instead as a unified whole: a dense fabric woven together out of interdisciplinary connections. These connections will be explored via in curricular breadth and historical depth. The core of the project will take the form of a comprehensive experiment employing the past three years of course-listing data from the Harvard Registrar’s office. These data will produce aggregate visualizations that reveal clusters, connections, cross-disciplinary themes and threads. The aim will be to establish what sorts of approaches yield the most interesting new ways to see, experience, and explore the curriculum; with an eye to developing a user interface and platform that would leverage the power of curricular data to tell stories that help to orient, guide, and shape student choices in richer, more interactive and imaginative ways. As in-depth complement to the above, an experiment will be carried out documenting the past half-century of the curriculum (beginning in 1971 with the inauguration of Harvard president Derek Bok, who oversaw the merger of Radcliffe and Harvard and initiated an era of undergraduate curricular innovation). Back course catalogues will be scanned, run through OCR, and formatted. A metadata scheme will be developed and a team of graduate students will undertake the tagging of the entire corpus of courses from the print era to the present. On the basis of this expanded data set, a website will be built that explores the past and present of the curriculum, its shifting contours, the rise and fall of areas of study, centuries, regions, genres; the landscape of cross-disciplinary ties; and changes in the vocabulary of the Arts and Humanities disciplines themselves. To integrate synchronic, contemporary search and analysis with diachronic grounding and context, metaLAB will develop a responsive and comprehensive approach to knowledge design in crafting an interface that allows swift and comfortable cruising of today’s curriculum while allowing vistas to open on change over time—to see the curriculum’s last half century in its dappled fullness, or to focus on the transformative connections, detours, and divagations in current course offerings. 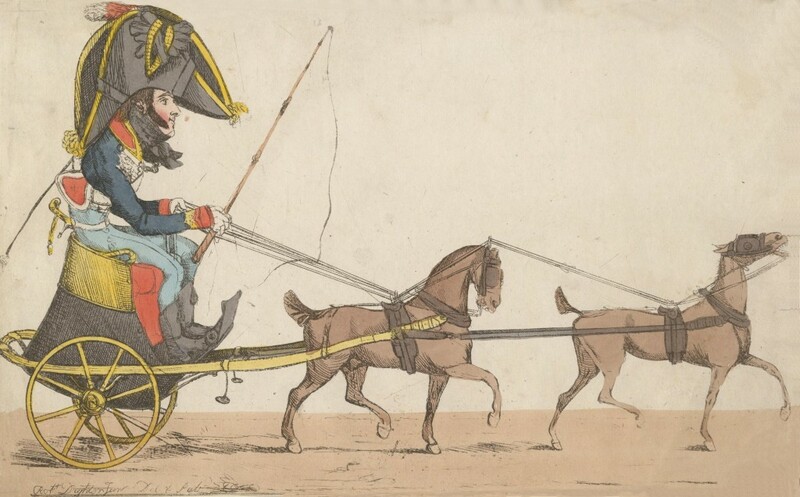 The latter perspective will serve undergraduates seeking to map out their routes to transformative experiences in the liberal arts; the former will permit not only students, but scholars, administrators, and other interested parties to contemplate change and continuity in teaching and learning. P.s. alongside horse-drawn curricles, there were also so-called “pedestrian curricles,” the ancestors to today’s bicycles (see below).